Mountain Herb Silver Necklace : LOVE2HAVE in the UK! A mountain herb silver necklace. Polished silver is simply the best choice of finish for bringing out the best in truly exquisite and wonderfully smooth designer jewellery such as this necklace. The smooth shaping for this piece inspired by the Cicely plant is the seeds of this shrub or medicinal herb which is known for growing in mountainous regions across Europe. 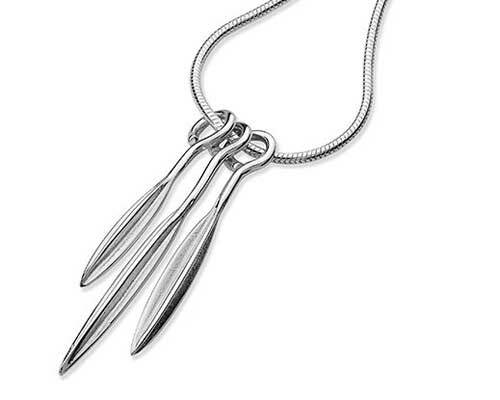 The necklace consists of three of these silver seeds that come fashioned into hook style arrangements that hang freely from a sterling silver snake chain. The chain is 16 inches long as standard. 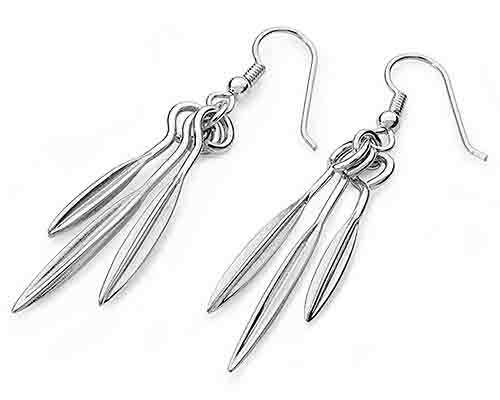 One of the seeds is longer than others adding to the visual attractiveness of the piece, and a pair of matching earrings is also available too.